Hello lovely readers! I'm a big fan of the Jergens Natural Glow gradual tanning lotion, so when I saw Avon had released a gradual tanning lotion his year I decided to give it a try! I'm rarely disappointed with Avon products, and the Avon Skin So Soft Satin Glow 7-in-1 Glow Body Lotion (what a mouthful!) is a winner for me! This product is available in two shades: a lighter shade for fair skin tones, and a darker shade for medium skin tones. I obviously bought the fair shade because I'm super pasty! This lotion claims to give you seven benefits: hydration, softness, even skin tone, enhanced radiance, firmer skin, improve skin's overall appearance, and, of course, give your skin a sun-kissed glow. I use this product mainly on my legs, because I don't want them to look pasty white during the summer and I'm not a fan of getting a real tan (skin-cancer and wrinkles, no thanks!). The overall look of my legs is definetely better thanks to this lotion. My skin has a subtle glow to it and the tone is a bit more even. Unlike the Jergens lotion which smells a bit coconut-y, this lotion smells like orange, green tea and vanilla, and also has a very small amount of shimmer. This quick picture was taken after using the lotion for three days in a row. 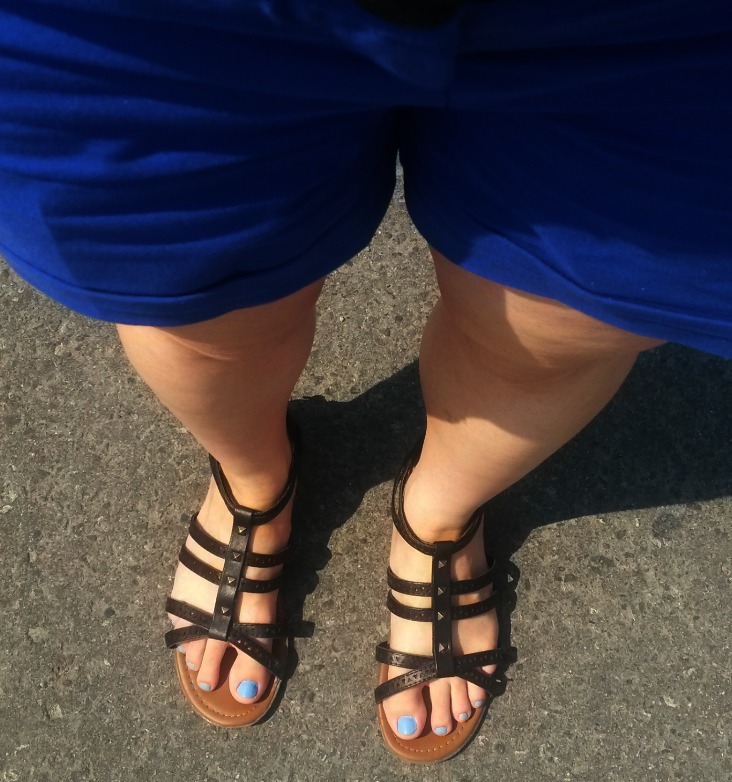 My legs aren't super tanned but do have a slight glow (they actually look darker inside than in natural light!). My feet are patchy but naturally tanned. I've never used tanning lotions before. Always a tad bit afraid I'll turn orange.